The world’s first BGAN M2M terminal designed to operate on both Inmarsat BGAN (Broadband Global Area Network) and cellular 2G/3G/GPRS networks. EXPLORER 540 delivers always available connectivity for all critical SCADA/M2M monitoring and control applications. Near global coverage for SCADA/M2M Internet connectivity. Low power consumption. Easy to install. As the only BGAN M2M terminal to offer dual mode operation, EXPLORER 540 provides unique flexibility and M2M data communication cost-control, as it ensures that the most cost-effective communication service can be chosen depending on location. Enhancing the continuity of your M2M IP data network, the dual-mode operation delivers significant failover capabilities with the automatic switching between the BGAN network and the cellular network. For organisations transferring critical real-time data within their M2M networks, EXPLORER 540 M2M’s dual mode can provide unmatched service availability. The EXPLORER 540 will be available for Standard Inmarsat BGAN and BGAN M2M services. For BGAN M2M services, this will include no minimum connection charges, free over-the-air software upgrades and all the BGAN M2M specific remote management features. The terminal will be Type Approved as a BGAN Class 2 terminal and well-suited for BGAN Link services as well. The terminal weighs 1.6 kg and the size is only 20 x 20 cm making it the smallest and lightest BGAN M2M terminal. 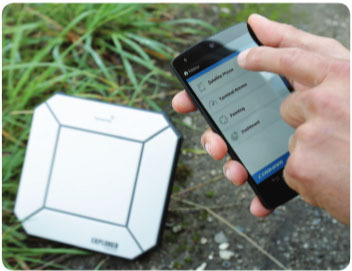 The durable casing, and a dust and water resistant IP66 design, makes the EXPLORER 540 the perfect choice for any kind of fixed outdoor installation. It comes with a pole-mount, and like the other EXPLORER BGAN terminals it is simple to set up and operate. The 540 will be available as C1D2 for hazardous zone implementations. App with a SIP softphone will be available on Android and IOS. 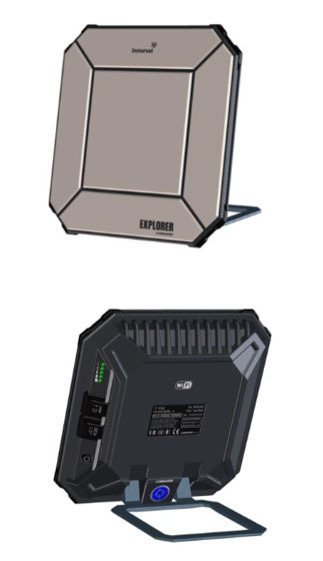 EXPLORER LTE Modem turns E510 into a true communication SmartHub.